Thanks to everyone who joined us for Plasticity Kuala Lumpur, for a big discussion on Plastic Circularity and the stakeholders involved with innovation, policy and brands. Plasticity Sydney - Thanks to everyone who participated in this great discussion on plastic sustainability and circularity. Thank you for over 100 restaurants and F&B companies for being part of the 2nd "Kin Hong (Sustainable) Seafood Festival" in Hong Kong. 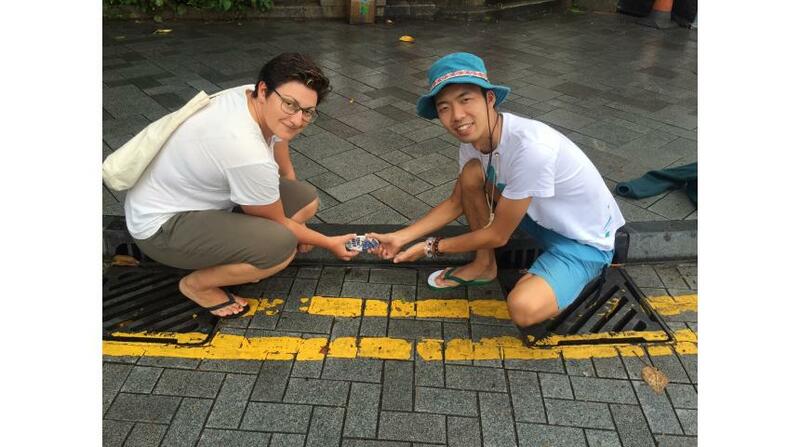 Grate Art - bringing Art for Awareness to the city streets of Hong Kong - reminding not to dump waste in storm drains. 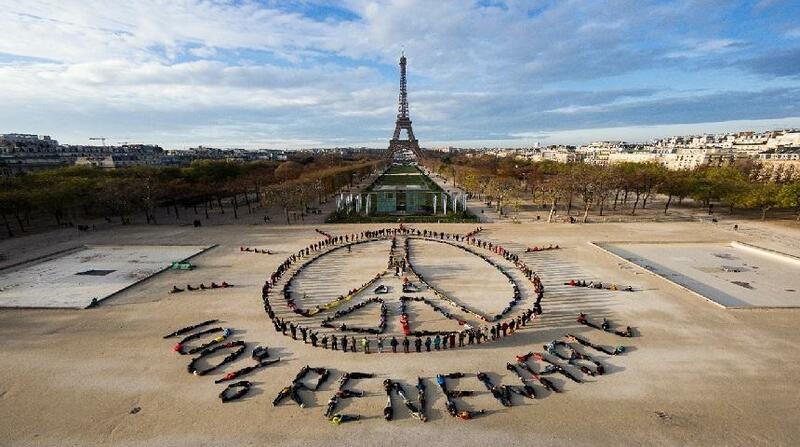 Bringing a bright, new chapter to Paris, the environment, and the ocean, with a move to a 100% renewable energy world. 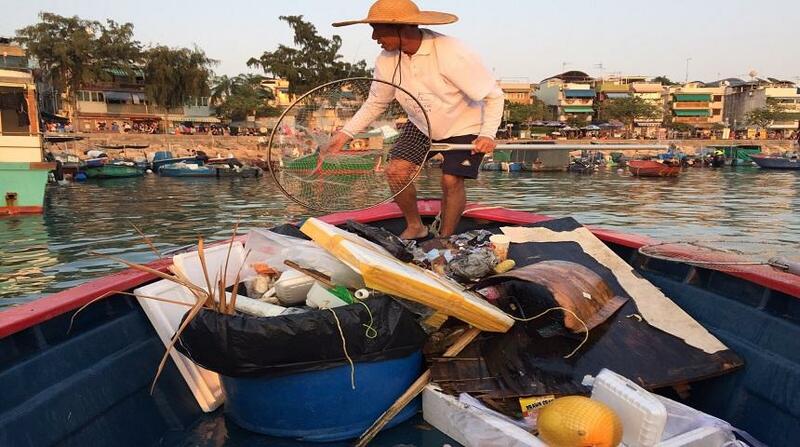 Plastic Catch - Engaging local fishermen to remove plastic from the sea, while working with companies to improve their recycling. Kids Ocean Day Hong Kong, 2015. 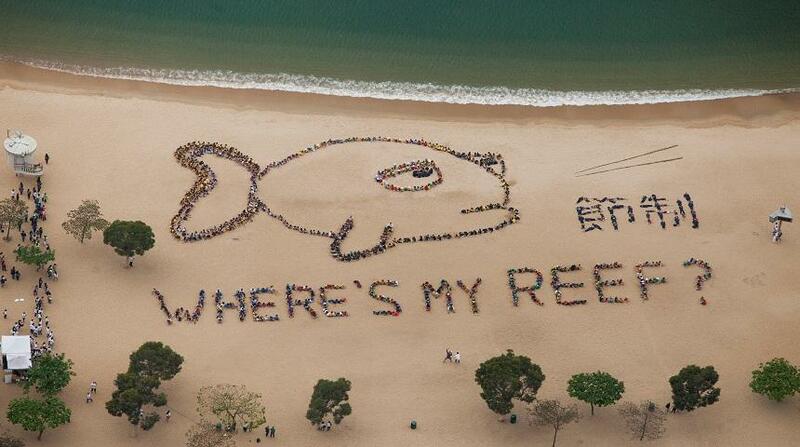 "Where's My Reef" with over 900 children calling for restraint in consumption, and increased reef protection. Thanks to everyone who participated in Plasticity Portugal 2015. HK Ocean in Motion Film Festival - Hong Kong. 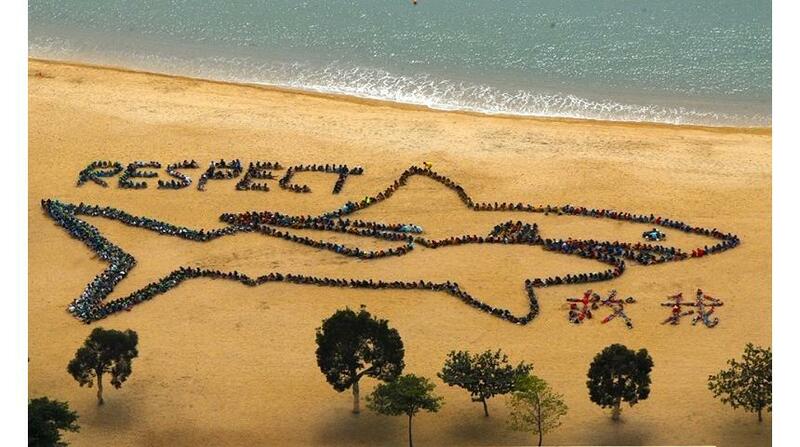 Ocean Appreciation Month - April in Hong Kong, with a series of great ocean related events. 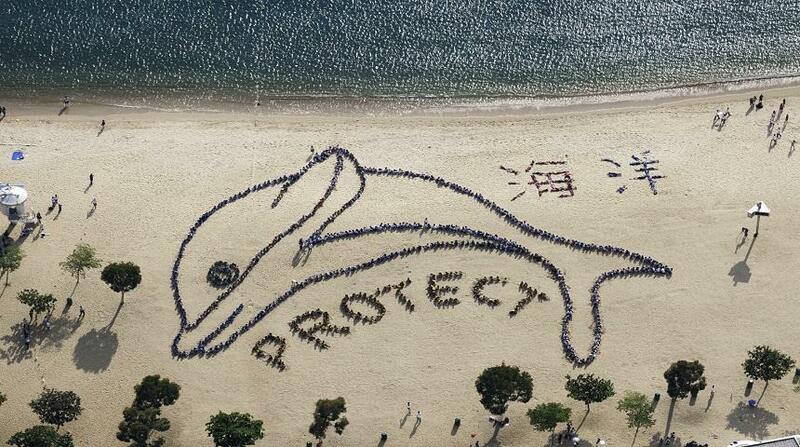 Kids Ocean Day Hong Kong, 2015. Over 900 children on the beach to learn about ocean awareness, and send a global message about reef protection. 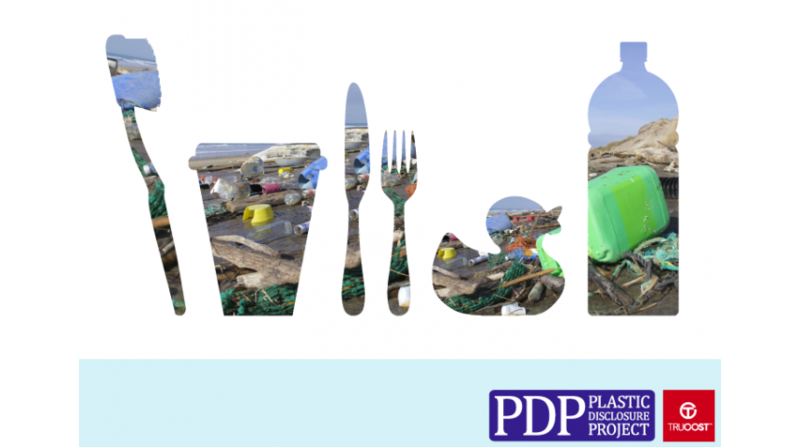 GLOBAL REPORT: Valuing Plastic - the business case for measuring, managing and disclosing plastic use in the consumer goods industry. 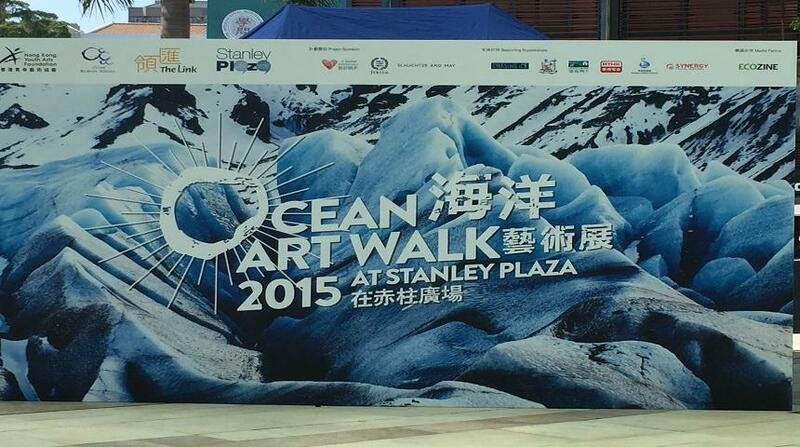 Another great Ocean Art Walk at Stanley Plaza this year, thanks to our partner, the HK Youth Arts Foundation! Creating awareness for ocean protection via unique street art. 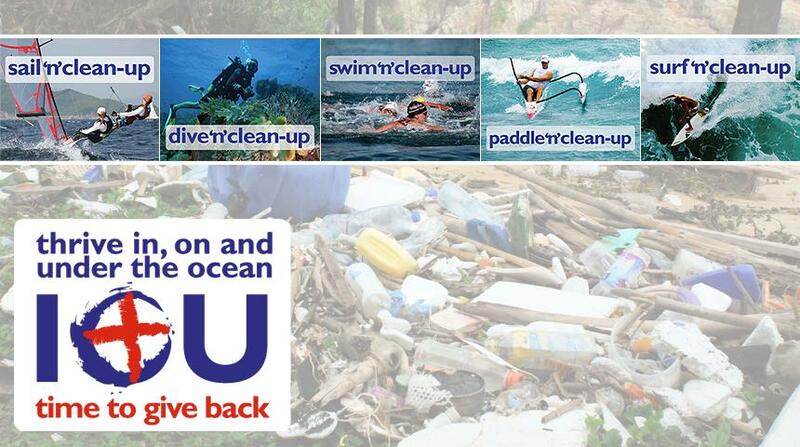 Oceanic Big 5 - The world's biggest ocean sports users gathering their teams and community for clean-ups while doing their sports. World Ocean Day, June 8th every year. Get your friends or team involved this year! Some say that the plastic footprint on this planet is as big a concern as the carbon footprint. 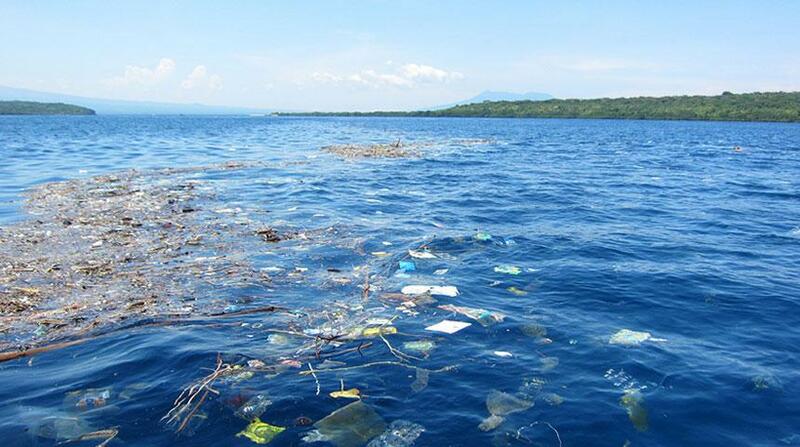 Recycling resources - over US$8bn/year in value of just plastic packaging is un-recovered each year in the U.S.
Water, and everything floating in it, runs downstream.....and downstream is the ocean. 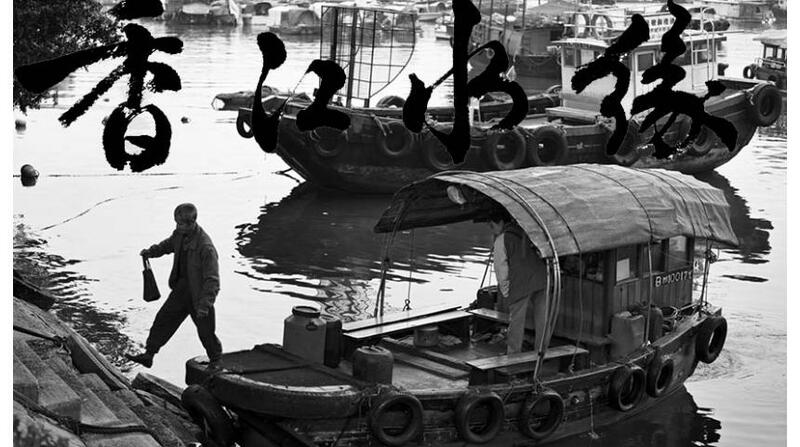 'WATER MARGIN: Hong Kong's Link to the Sea' - click the 'Other Projects' section of this website to order a copy of our book today! If you are interested in plastic pollution solutions for smaller communities or island nations, we hope to see you at Plasticity Pacific in Suva, Fiji on March 13th. Most of the world, ex-big-cities, needs these types of options which are sized appropriately for the communities they are designed to help, bringing value to plastic in its 2nd life, so it does not become waste. A Special thank you also to the UN Secretary General's Special Envoy to the Ocean, and Fijian, Mr. Peter Thomson, for the great support for Plasticity Pacific in Fiji. Thanks to everyone from the government, industry, brands, entrepreneurs and do-ers, who were part of our Plasticity Malaysia forum in Kuala Lumpur on October 25th. Photos and presentations of the Plasticity Malaysia event can be found here. Our Bangkok Ocean In Motion Film Festival was held in December, bringing together people of all ages and cultures to enjoy everything In, On and Under the ocean - without having to get wet! 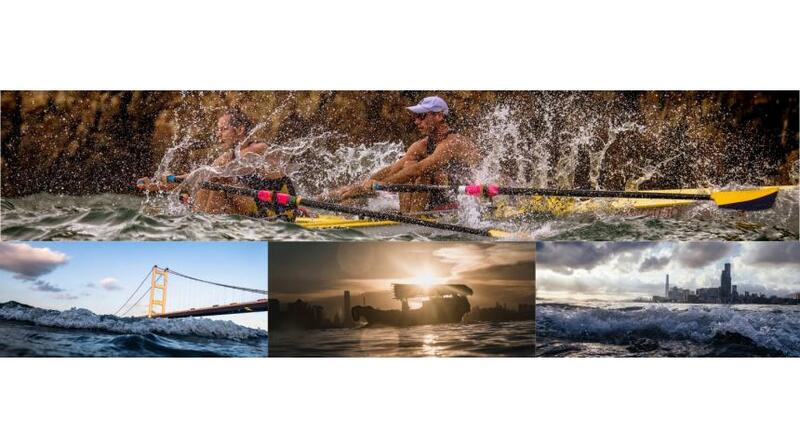 The event features a series of short and mid-length films, each one documenting the beauty, power, excitement and importance of the ocean through stories of adventure, exploration, ecosystems, culture and science. 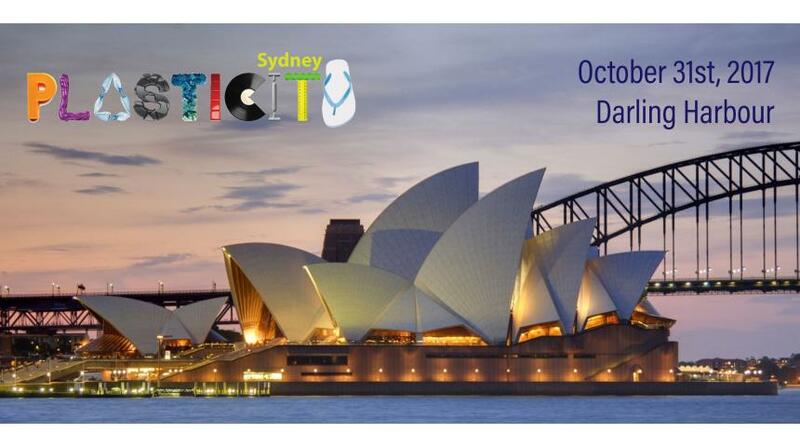 We have run these events for five years in Asia, so let us know if you are interested to have an event in your city. 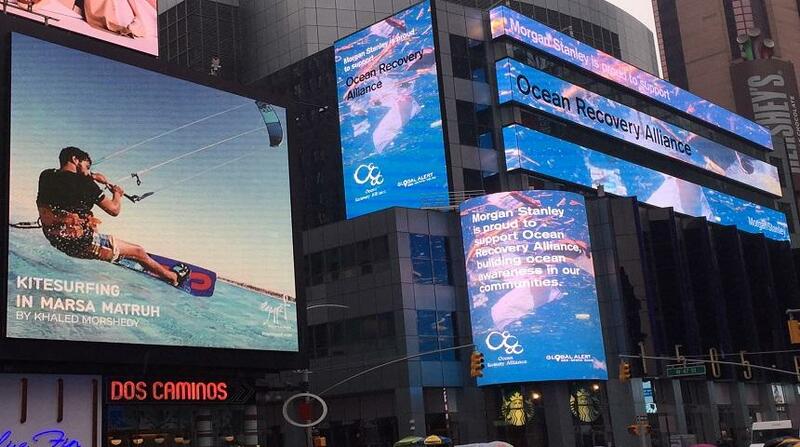 Ocean Recovery Alliance is an NGO based in Hong Kong and California that works on creative solutions that can scale across business, countries and communities with a variety of stakeholders. Given our work and knowledge with innovative solutions, entrepreneurs and programs, some via our Plasticity Forum which is unique in its space and focus, we are able to deliver a full range of solutions, with collaborative partners, for companies and governments on their packaging, products, materials, waste or recycling needs, which will help to achieving scaled plastic sustainability objectives, with good stories that go with it, for your employees, and the communities you serve. Please contact us if you would like some of our consulting advise and expertise. 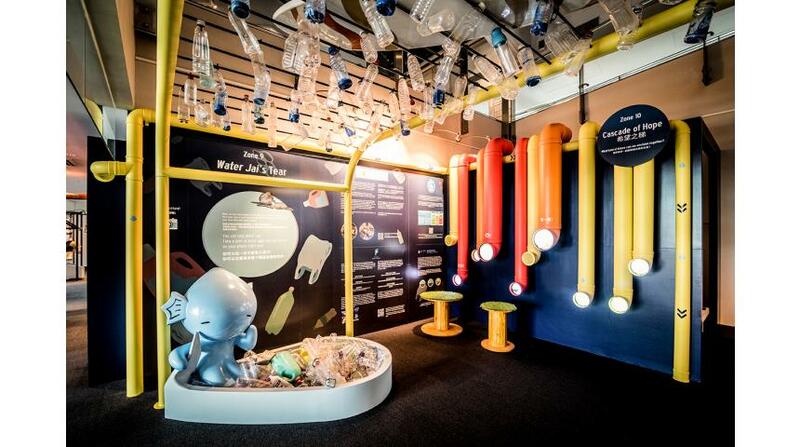 We are pleased to announce and share our new water systems curriculum, from Mountains to the Sea - "Jockey Club Water Caretakers of Tomorrow," which was also created into an exhibit at the Hong Kong Maritime Museum. The curriculum is mainly for agest 9-13 years of age, and if your school woudl be interested in using it, please let us know. It is free to use, and we believe, one of the best in the world in terms of interactive student work, indoor and outdoor, with eight stand-alone units that can fit into all types of educational styles or programs. It is available in both English and Chinese. You can help support the Ocean by clicking here, as our innovative, creative and scalable programs are made possible because of your vision and engagement to help us expand our work. Some of our recent work is listed below, but also, don't forget that if you want to report trash hotspots, anywhere in the world's waterways or coastlines, use our Global Alert platform (or app) to take up to three photos of big sections of trash, so that stakeholders in that community can use your data to better manage and prevent litter from polluting our waters. Click below to see our new short film, Streams of Plastic. You can bedcome involved with education in rural (or any) communities by supporting our play/puppet show, called "Uncle Roo - the Recycling Rooster" this is already in five languages, and we hope to have it in many more. YOUR DONATION can support new performances around the world by helping with costumes and local travel for the show to be performed in other villages, towns or schools in the community. Once this is performed, we want to have a video of it so we can post that on our Uncle Roo Youtube Channel for others to see and learn from. On the Plasticity Forum front, we had two great Plasticity Forums this year in the U.S. One in Dallas, as part of Earth Day Texas, and the other in Anaheim as part of the annual ANTEC event by the Society of Plastics Engineers. A summary video of Plasticity California can be seen below. All presentations and videos of talks from Texas and Anaheim can be viewed here. You might also like our new Pick Me Up beach bags - perfect for talking a beach walk, hike or stand up paddle. Many people would pick up trash if they see it, but when they have nowhere to put it, they keep on walking.......Pick Me Up bags keep your hands free, but bring Pride to the Outdoors, so that you can feel good about picking up more than you left behind, and, have a place to put it. More information can be found here. Design is one of the critical elements in creating materials, products and processes for the circular economy, but too often, the design community is not at the table in discussions that relate to the sustainability and recovery of plastic. 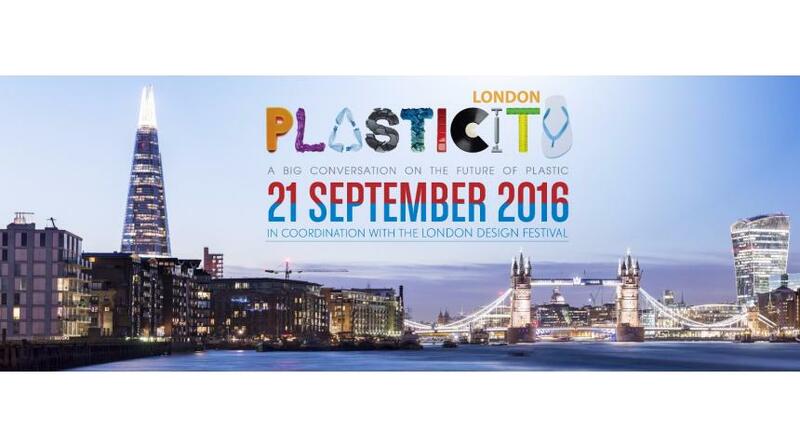 Learn how you can get ahead on the topic of plastic waste reduction, whether you are a designer, brand, marketer, policy maker, entrepreneur or investor by attending one of our Plasticity Forums. Reminding people not to dump into storm drains, as everything flows downstream, and downstream is the ocean. We are excited to have launched the Grate Art project with eight local and Chinese artists in Hong Kong in the Southern District and on the campus of Baptist University. We hope that your city might like to follow suit, and be part of a sister-city network for Grate Art! 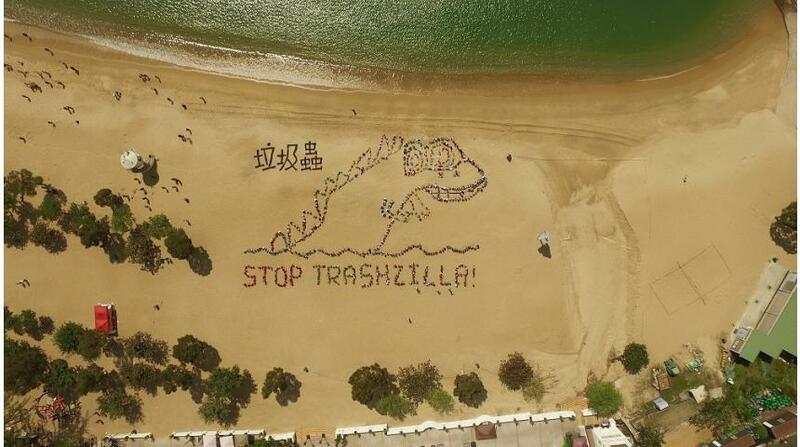 'Trashzilla" was spotted on the beach in Hong Kong, as over 800 children, teachers and volunteers bring back “Lap Sap Chung,” Hong Kong’s legendary trash monster, in a message to the world that plastic pollution endangers the ocean environment. “Lap Sap Chung”, or Trashzilla, thrives on plastic trash, and his appearance in Hong Kong sends a reminder from the young community to stop littering the ocean. 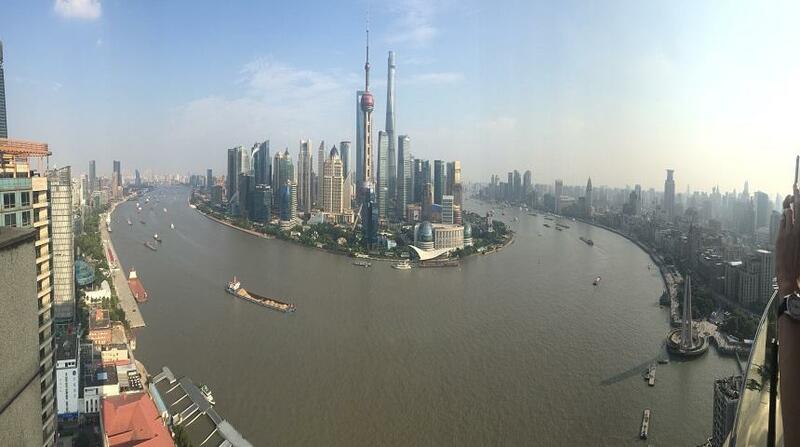 "Material Solutions for Undervalued Resources"
The 5th Annual Plasticity Forum took place in Shanghai on April 27th and 28th, with great success, and the first discussion of its type on plastic sustainability in China. Our press release was picked up by publications with a reach of over 385 million readers, so we believe that this was a very positive launch of a bid discussion on plastic sustainability, and where the leaders are going with design, innovation, materials, recycling, and a world for a reduced waste footprint. This event was held during the same week as CHINAPLAS 2016, and included a tour to the world's 2nd biggest plastic trade show. The Plasticity Forum also included a 1\/2-day workshop called "Go Circular - Envisioning Products and Packaging in a Circular Economy" that was held in conjunction with our partners, Successful Design, CBi China Bridge, and Green Initiatives. We are pleased to also announce a new report which our parnters Trucost undertook, and one of the world's first Net Benefit Analysis on sustainble plastic solutions, with Dell and Algix. If their new materials, use of recycled content and reduced packaging were to be replicated across their industries, the benefit to the global environment and our communities would be valued at over US$3.5bn annually. You can read the press release here, and download the Report Here. A report on the trends in the plastic-to-fuel industry was released at the Plasticity Forum by the ACC and Ocean Recovery Alliance as a discussion tool for a variety of local and international stakeholders including: municipal and national governments, corporations, community leaders, business associations, NGOs, project developers, and others interested in the management of end-of-life plastic waste. It aims to highlight the opportunities available for creating value from plastics, in concert with the regulatory, technical and logistical barriers that need to be overcome on the path towards the widespread commercial adoption of plastics-to-fuel (PTF) technology. The report can aid stakeholders by facilitating knowledge-sharing and regulatory convergence to expedite project deployment. Not intended as a replacement to traditional recycling practices, but given the large percentage of plastic waste that bypass recycling programs for reasons such as lack of infrastructure, capacity, and technology, PTF is becoming a viable addition to a jurisdictions mix of municipal solid waste management (MSW) management strategies. 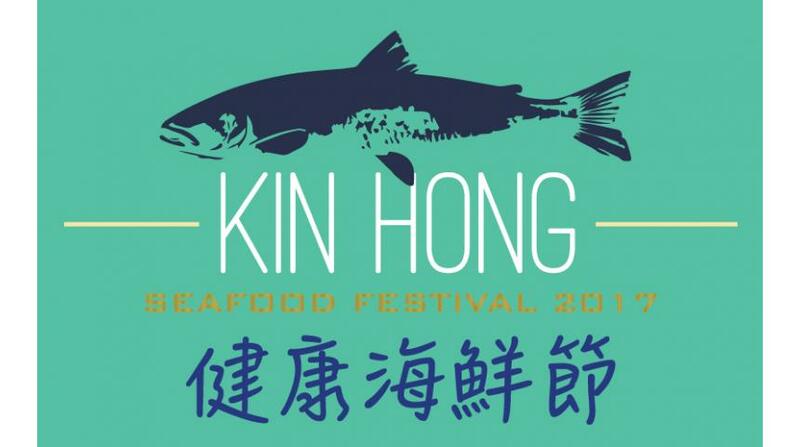 The Kin Hong Seafood Festival is coming back to Hong Kong in its second year, and now bigger than before - and it's going International already! The event will be the entire month of September, 2017, and is open to any restaurants, catering companies, suppliers and retailers who are serving certified seafood during that month (if a restaurant, you need to have at least one dish). This is to help build broader public knowledge about sustainable seafood, why we should care about what we are eating, and where that comes from. "Kin Hong" means healthy in Chinese, and represents both the healthy quality of the seafood, as well as the sustainable (healthy) manner in which it was caught or raised. The event involved over 45 restaurants, catering companies and suppliers in creative events that provided education to consumers and the industry about seafood sustainability. It provided an opportunity for the public to experience sustainable products first hand. 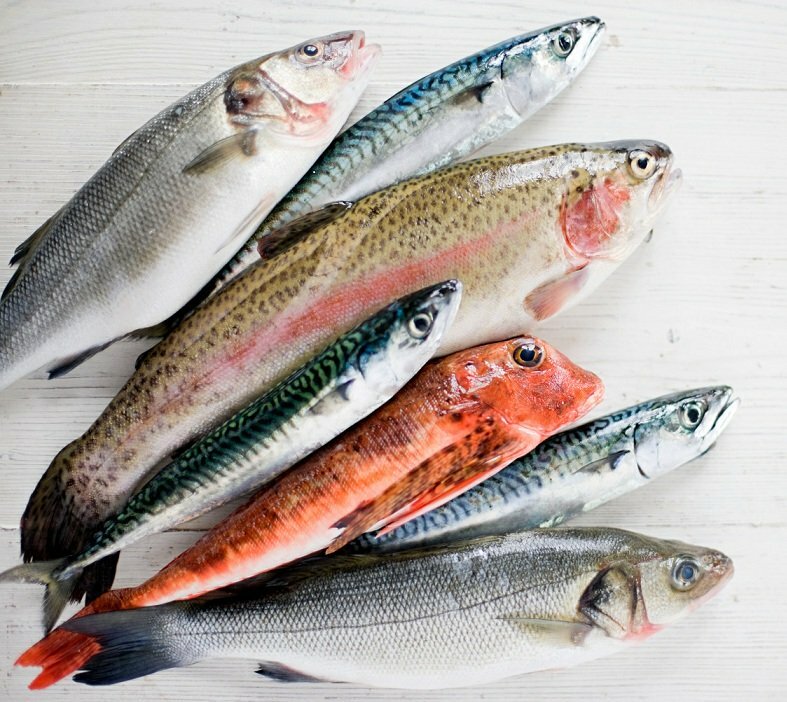 In working with the F&B industry, the aim is to facilitate restaurateurs in gaining access to sustainable seafood and to increase availability and visibility in the market place, with some restaurants pledging to continue, and increase, their servings of sustainable seafood after the first event! Click here for more information. We are please to have been parrt of the decision and thought process for Watsons Water to move to 100% recycled material (rPET) for its bottles in Hong Kong. They are one of the first bottlers in Asia to move to 100% rPET, and their leadership has helped to avoide the production of between 50m and 100 million virgin bottles a year, as its demand for rPET diverts this much valuable material from the waste stream. Can others follow suit? 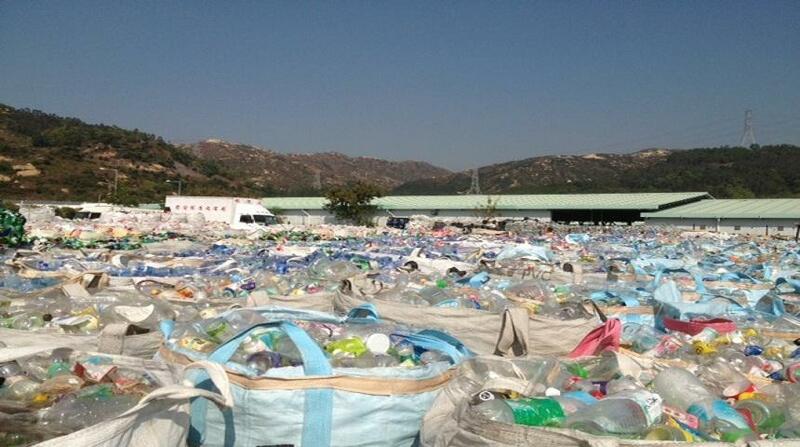 The World Bank estimates that the production of municipal solid waste could double by 2025. 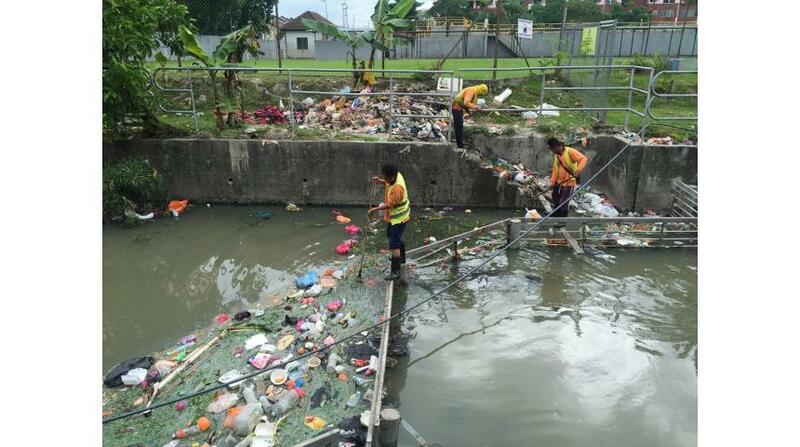 Even if this is only partially correct, the environmental impacts could be significant, as most of the countries where populations and consumption are growing, do not have nearly enough capacity to handle this flow of trash - even today. This lack of capacity to handle our waste generation is what impacts our waters, health, city operations, tourism, and eventually the ocean. However, if waste were viewed as a resource, we would be able to create tens of thousands of new jobs, create new revenue streams, and alleviate much of the environmental impact that waste has on our communities today. Ocean Recovery Alliance has two projects which were announced at the Clinton Global Initiative, focused on reducing the global impact on plastic pollution. These are unique, because they cut across boundaries and can be used by everyone, without the need for legislative changes, bans or taxes. We hope that you will be able to use these within your respective communities, as they are tools which can help us all focus on plastic in a new way, leading to efficiencies in use, better recycling and waste management, job creation, and a lower environmental impact within our communities. Ocean Recovery Alliance is now working with both the United Nations Environment Programme (UNEP) and the World Bank's Global Partnership for Oceans on the Plastic Disclosure Project for research and programs for cities and their waste analysis. The first project was in Colombia with the Ministry of Environment, and a three-city study along the Magdalena River Basin, which leads into the Caribbean. This report, and the report on the Natural Capital Cost of Plastic in the Consumer Goods industry (joint program with UNEP and Trucost), will be released in the summer of 2014. 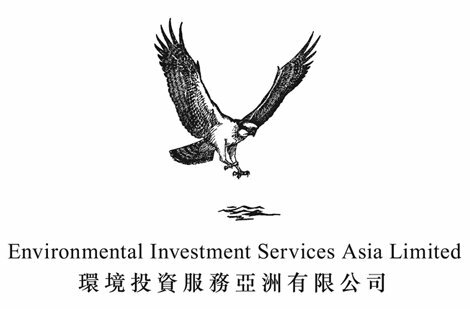 The group is a registered charitable organization in Hong Kong, and is a 501c3 non-profit organization in California. Ocean Recovery Alliance strives to take a lead with a variety of existing stakeholders, leveraging each of their qualities and institutional capacities when needed, while combining forces with the business and technology sectors in ways that have not been done before. The Grate Art project is about street art bringing a message to the community about not dumping in our city street-drains, because those actions impact our waters. Eight commissioned artists will create ceramic plates to be located on street drains in Hong Kong - a city whose main geographic asset is the ocean. The project will help to develop local art/design, while also adding some interesting color to our streets, with an important, yet subtle message, of protecting our ocean. 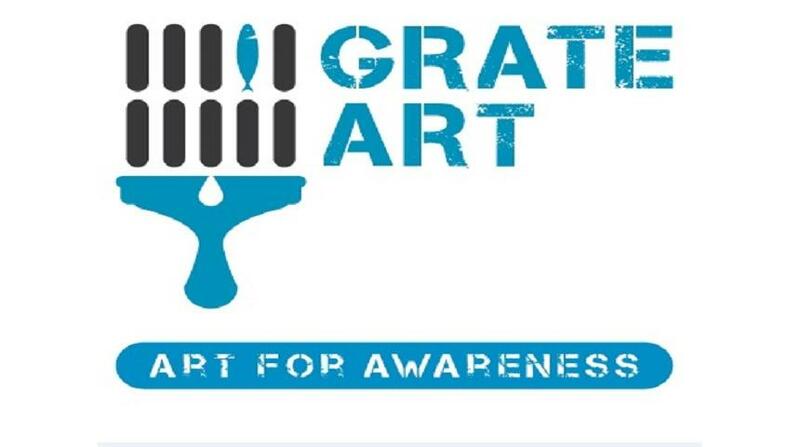 Please visit our Grate Art page to see how you can support this great program. 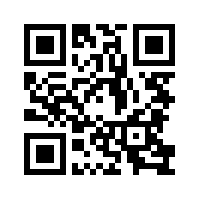 Download our Global Alert map by using our QR Code below!